You are here: Home / Increasing Milk Supply / When is Milk Supply Established When Breastfeeding? When is Milk Supply Established When Breastfeeding? By Amanda Glenn 3 Comments August 15, 2018 This post may contain affiliate links. 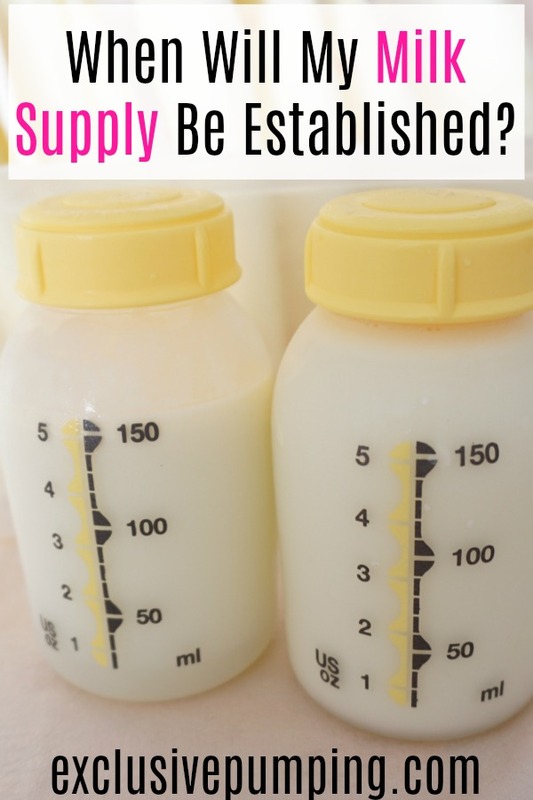 You may have heard about establishing supply when breastfeeding. What does this mean, and when is milk supply established? Here’s what to look for. 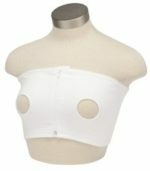 During the late stages of pregnancy and in the first few days after your baby is born, your breasts produce colostrum. The hormone progesterone, which is present in high amounts throughout pregnancy, keeps the milk volume produced low. After your baby is born and the placenta is delivered, your estrogen and progesterone levels drop dramatically. This hormone withdrawal, along with high levels of prolactin present after birth, causes initial milk production to kick into high gear. This happens 1-3 days after birth when your milk comes in. Later, the milk production process switches to being driven by breastfeeding supply and demand. 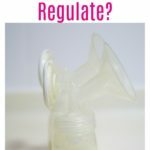 This means that the demand – the milk that is removed from your breasts (by either a baby or a breast pump) – controls the supply, or how much milk your body produces. 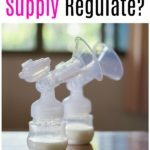 What changes when your supply regulates? What are the signs of an established milk supply? The reason that your milk supply might decrease when your supply is established is that your body will match your supply to what you’ve been removing from your breasts. 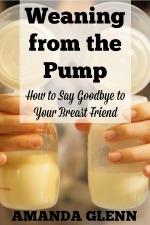 Before my supply regulated, I skipped pumping sessions more often than I should have, and then when the hormone boost when away, I lost a lot of supply. The supply decrease can be a relief if you have extreme oversupply at the beginning, but it’s something to watch out for if you’re more like me. So when is milk supply established? When does milk supply regulate? In the vast majority of cases, this happens sometime in the first 12 weeks, usually between 6-12 weeks postpartum. This doesn’t mean it happens exactly at 12 weeks; there is nothing magical that happens to your breasts at midnight on your baby’s 12 week birthday. It can happen at two weeks postpartum, or it can happen later than 12 weeks. However, for most women, it has happened by the 12 week mark. Another thing to note – supply regulation can happen suddenly, where you wake up one morning and notice your supply has decreased and you aren’t leaking anymore. Or it can happen gradually, over a few weeks, so that you don’t even really notice or know when it happens. What should you do to be prepared for your supply to regulate? The key thing that you should do to be ready for supply regulation is to stick to your pumping schedule. 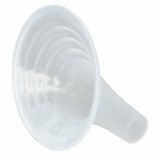 You need to ensure that the demands you’re making via your breast pump (or baby, if you nurse) match the supply that you want to have. Also, make sure that your pumping schedule has enough sessions and pumping time. If you’re exclusively pumping and your baby is less than six weeks old, you should be pumping at least seven times per day, and your total pumping time in a day should be at least 120 minutes. What should you do if your supply regulates and you lose supply? Try not to freak out, especially if you had oversupply before and were using the extra milk to stock your freezer. If you’re concerned, though, it’s a good idea to get on top of it. 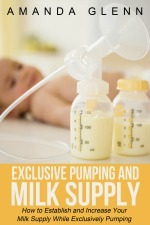 When my milk supply regulated, I went from pumping 35 oz per day to 24 oz per day overnight. I used fenugreek and was able to get it back up within several weeks, along with being much more consistent with my pumping schedule. Did you ever use brewers yeast to increase supply? I had trouble producing milk a week after delivered. In one side of my breast I got only half ounce and on the other just 1 or 2 oz. So after I drink Healthy nursing tea my milk increase a lot. I feed my 3 months baby only with my milk and also I get 8 oz in one pumped to storage twice a day.